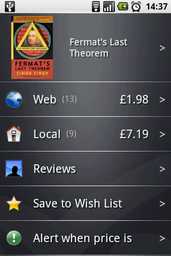 Last month I published my first Android app to the Google Play Store: Duly Noted. Which was something I had created for myself long ago and finally got around to publishing. 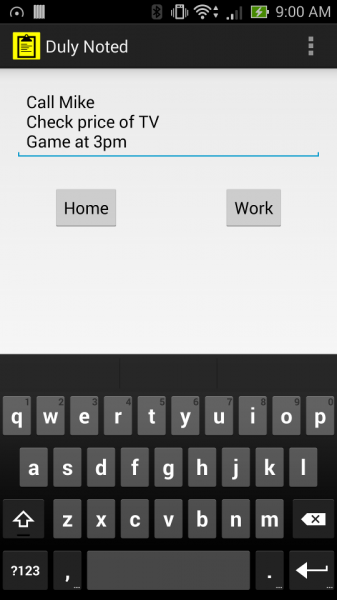 Today, I’m publishing another app that I wrote for our family about two years ago and has proven very handy. AutoPager, originally called “Page My Driver”, allows a user to specify 1-2 phone numbers as recipients of predefined custom SMS texts; which are sent by simply touching the launcher icon (no other user action is required). Two icons are shown in your launcher:  and . 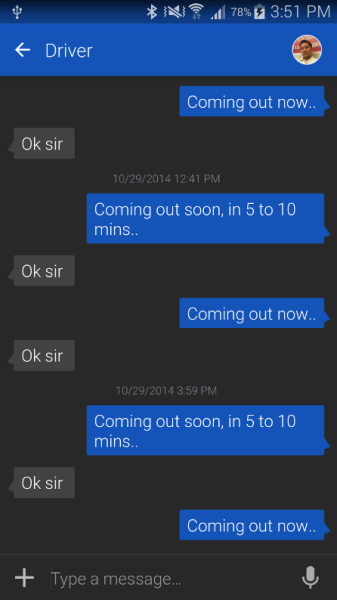 The  icon is used to send a custom message which normally gives a heads up about something 5-10 minutes in advance. The second icon  would be used to send a different custom message regarding a more immediate notification. For example, Tia and I set the 2 phone number recipients as the 2 phones of our family driver. When a pickup / departure will be needed in 5-10 minutes, the  icon is pressed to page the driver on both phone numbers to give him a heads up and prepare for pickup. Later, the  icon is pressed to page the driver (again on both phone numbers) that a pickup is now required in the next 0-1 minutes. This app was designed to page two phone numbers at once because in many countries people carry two phones or have dual-SIM phones. Paging them on both phones helps ensure they get the message. AutoPager could also be used to provide heads up canned messages to significant others / children / co-workers, etc. The custom text messages sent by the  and  icons can be changed in the settings. This application has the potential to save a significant amount of time for anyone employing a personal driver or has a similar need of sending the same SMS to the same person multiple times a day. Do you find yourself constantly getting out your phone to write a quick email reminder? If so, Duly Noted is a simple application that can save you a lot of time and hassle by automating the process to 1-touch! Duly Noted allows you to configure 1-2 shortcut buttons that instantly send notes to pre-configured email addresses using a Google account on your phone to deliver the message. Using a traditional email client, you must navigate the interface and type out a “To:”, “Subject:”, “Body:”, etc. With Duly Noted you can quickly focus on your note and then just tap the shortcut and you’re done! (greatly reducing the time it takes you to send the note) Watch the video above! * Fire-and-forget 1 touch email sending! * Set it as a lockscreen shortcut for super fast notes! While the app must use and access a Google Account on your phone to send the outgoing message, rest assured that the application does not attempt to access your data or track anything you do. I wrote this app for myself a few years ago, and to this day it continues to be on of the most-used apps on my phone. 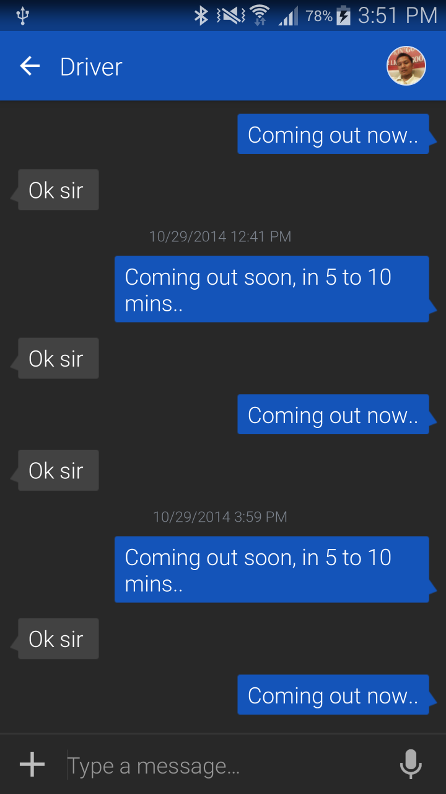 At the end of some days I’ll have sent 5-10 messages to myself via Duly Noted. I’m now releasing it for free for others to benefit from the productivity it provides! 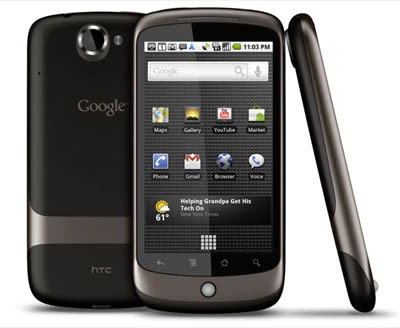 On January 5th Google released its media hyped “iPhone-killer” the Nexus One (built by HTC). Being the kind husband that I am, I decided to gift my G1 (the first Android phone) to Tia, which left me with no choice but to upgrade to the Nexus One (N1). I ordered Tuesday morning right as they went on sale and received the phone Thursday afternoon. Compared to the iPhone 3GS, the N1 has a larger screen, more memory, and a faster CPU — which makes it the first phone in my opinion that can truly compete with Apple. 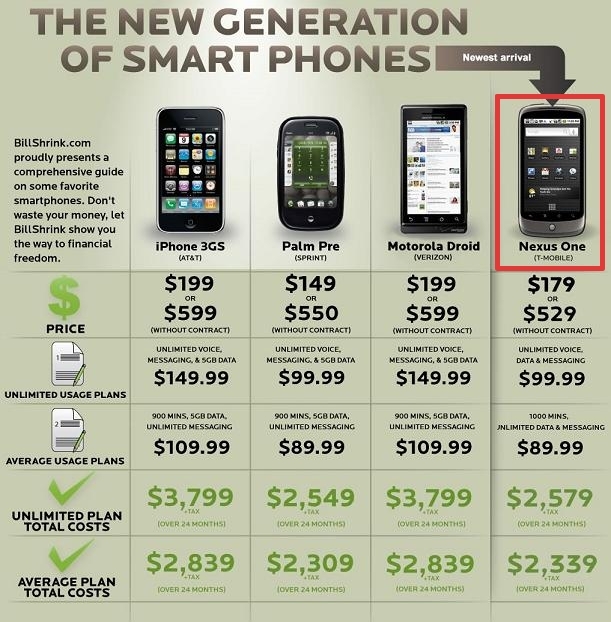 Note: The Nexus One is not to be confused with the recently released Motorola Droid. They both run the “Android” operating system from Google, but they are two different phones. Facebook – I’m not much of a facebook’r, but the seamless integration here is pretty neat. For example, when I go to call someone in my address book, it shows me their latest Facebook update. 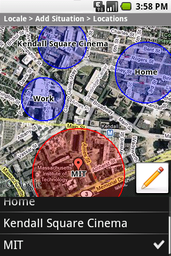 Locale – Automatically changes your phone settings (e.g. 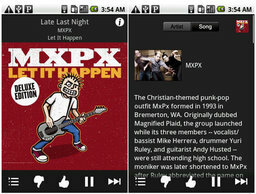 ringer / volume / brightness) based on your predefined criteria (GPS location, time of day, etc). For example, Locale turns off my ringer when I arrive in downtown Houston each morning for work. ShopSavvy – Scan a barcode on a product and it gives you a map of local stores selling the item (w/ price). 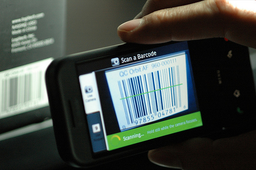 It uses the phone’s camera to scan the barcode. 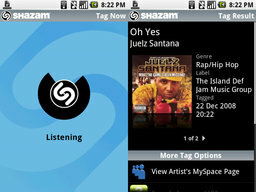 Shazam – The phone can “listen” to music and tell you what song is playing (with the option to purchase it). Where’s My Droid? 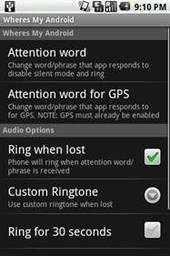 – Text your phone a secret word and it will ring for 3 minutes to help you find it. 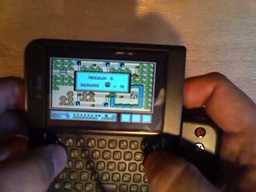 Also provides an enhanced option to have the phone text you back a link to Google Maps with its location pinpointed. Scriptures – Instant access to the Bible, Book of Mormon, Pearl of Great Price, Doctrine Covenants (and Koran). Webcam Widget – View webcam images on your phone. 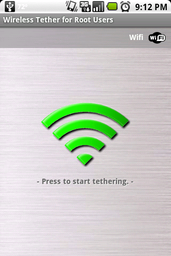 I use this to tap into my home surveillance system (first image below, green background). It’s only been a few days but I’m extremely impressed with the build quality and user interface of this thing. Definitely a huge improvement from the G1. If you’re in the market for a new phone you should seriously consider the N1 (especially if you use Facebook / Gmail / Google Voice / Picasa / Google Calendar / etc). Also note that the even though the Motorola Droid runs Android (like the N1), the Droid’s much more expensive with slower hardware. However, if you want a physical keyboard (which the N1 lacks), then the Droid is your best bet.